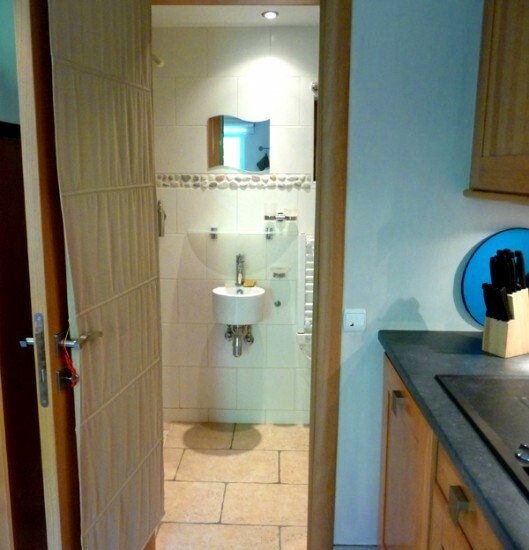 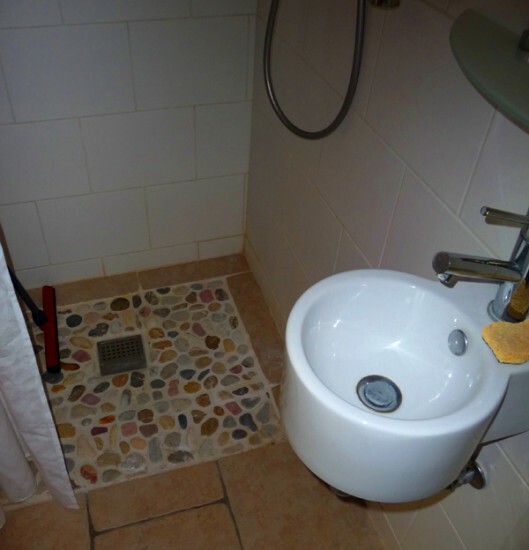 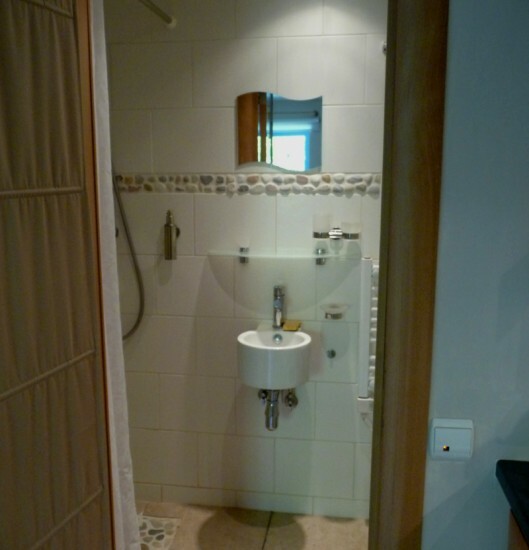 The bathroom has a shower, a washbasin and the toilet. 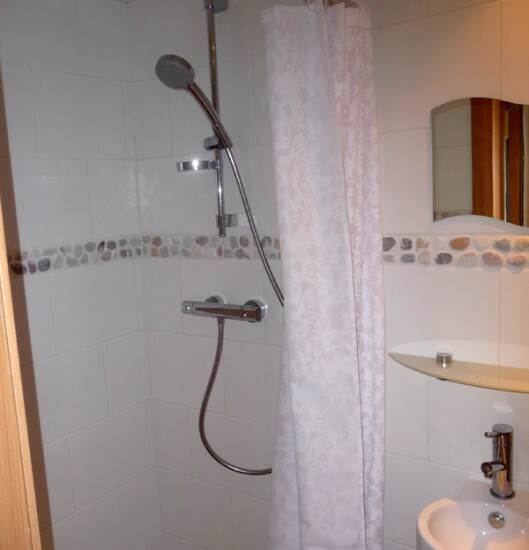 Small but cleverly designed with a spacious shower for example. 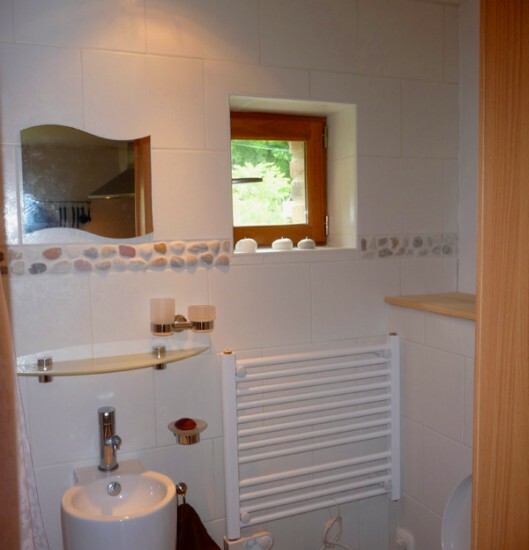 In the winter, the towel radiator provides extra comfort. 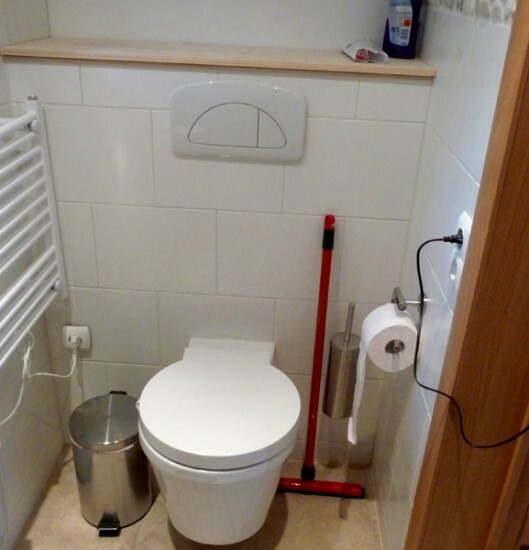 It also has two power sockets and a shelf.